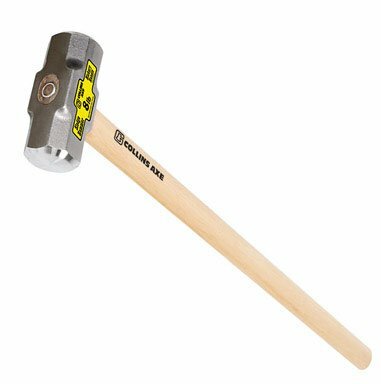 Discussion in 'Axe, Tomahawk, & Hatchet Forum' started by Drum4fun, Jun 13, 2018.
handle (which is usual for me !). I may make this routine.... your mileage may vary. Looks and feels o.k..... but, haven't whacked anything hard yet. As far as your handle. Here in Washington state our hardware stores are carrying "Vulcan" brand replacement handles. And just like yours , American hickory made in Mexico. I'm doing my best to keep buying American made. But to be honest House Handles and Link have let me down. Vulcan brand here is Az. , but, have not been looking. I wonder if the "Vulcan" brand line is a more recent rendition of the the "Voltech" brand acquired in 2009? *Referenced in the last line. 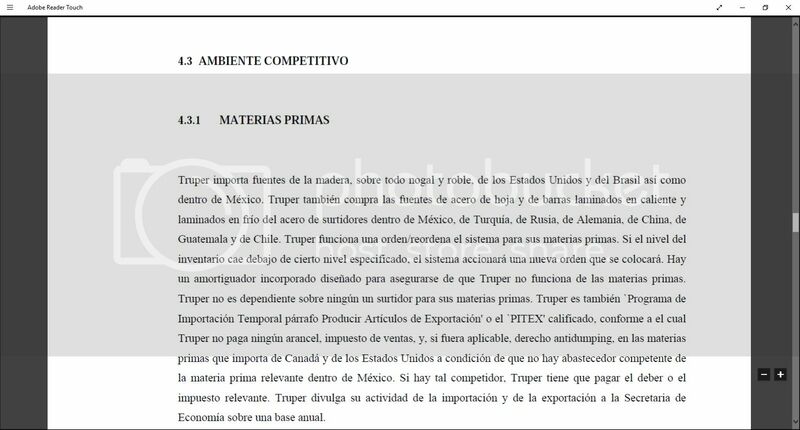 The paper is from a seminar by the National Polytechnic Institute on import/export taxation rules but that one section describes the business practices of Truper there and with a limited number of plants set up at the time to handle large tool making, it might be likely that is the quality approach to what was made there regardless if the Collins/Mann names were on export tools. Just rambling at this point because there is no mention of tool/axe markings like M  just fits the timeline somewhat. Disregard if it is just more of the same circles we go through every once in a while. I know nothing but Happy Friday to everyone and nice sledge hammer. Are you near Seattle or Enumclaw? Hardwicks in Seattle and Cutters Supply in Enumclaw both carry Tennessee Hickory Products handles. They will come fat but are typically made of the finest 2nd growth white hickory. Otherwise you might try ordering direct from TH. Vulcan and Mintcraft are trademarks of Orgill, a large independent distributor of 'hardlines' products (based in Tennessee), and they probably source some of their products from Mexico. 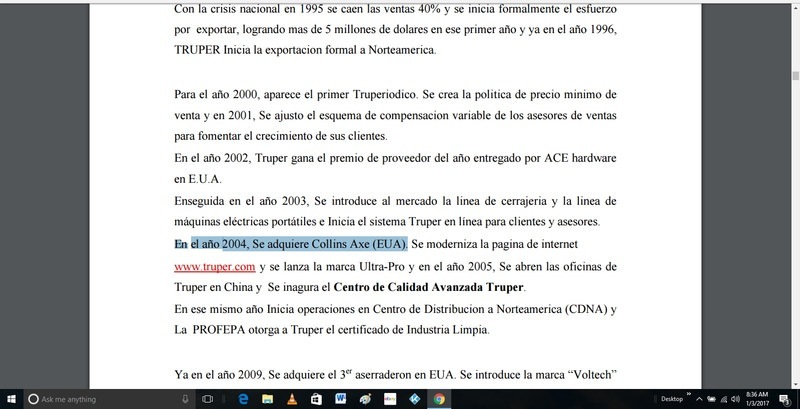 Truper and Collins are of course trademarks of Truper (based in Mexico). Miller '72, Square_peg and Agent_H like this. Sorry to go off topic, Drum4fun, without complimenting your nice work on that sledgehammer. Looks good! Now to go back off topic, I noticed that Truper is now officially licensed to produce the Leveraxe. Appears that the wholesale price is listed as 448 pesos, roughly $22. Miller '72 and Agent_H like this. Thanks Steve ! Your data is never off topic. Thank you for all you provide this forum. not determine the providers of their "American Hickory". Thanks again. Square_peg I see your in Maple Valley. I live in Kent. Trailsawyer, Miller '72 and Square_peg like this. Not worried about the competition, mate. I've still got a half dozen good handles in the garage. And I have a few other sources. Ha Ha! 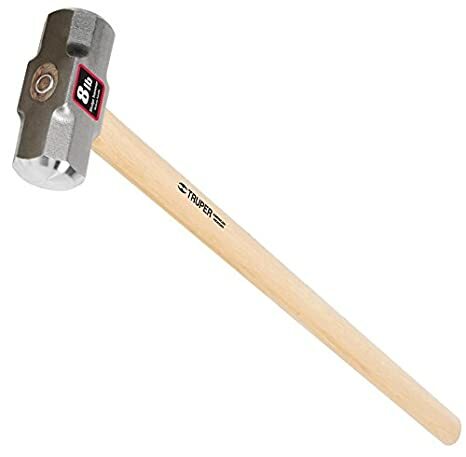 I still can't believe Commiefornia requires that sticker on a wood handle. Nice hang, though. Is that a heavy duty rated handle? A17... Thanks... "heavy duty rated handle" ???? I was not aware a rating system existed. heavy duty rating ? Thanks again. ...the terminal disease sticker from Cali made me do an in store eye roll. Sometimes States have to do for themselves what the Federal Gov't lacks the motivation to do. States rights and all. You know, I have literal buckets full of great NOS handles. I save them because I want them when I need them, but my collection is always growing faster than I can use them. I should sell some. I wonder what shipping will be across the country on under 2 pounds. Drum4fun, Agent_H and Square_peg like this.